This paper investigates the damage characteristics of a lightly stabilized granular material using cyclic load flexural testing with an improved deflection measurement setup. Beam specimens were prepared from a typical granular base material lightly stabilised with 1.5 % cement-flyash, cured for 28 days and tested at different stress ratios (SRs) until the fracture occurred. Fatigue life was established as the number of cycles required to break the specimen under stress-controlled cyclic loading at a frequency of 3 Hz. Fatigue induced damage was evaluated using the dissipated energy approach. Experimental results indicated that damage accumulation due to fatigue approximately follows the Miner’s linear cumulative damage rule. The study also found that the accumulated permanent deformation of lightly stabilised materials showed good correlation with number of load cycles and the developed empirical equations at different SRs can be used to predict the fatigue life. Progressive damage accumulation due to permanent deformation with increases in the load cycles is also presented in this study. 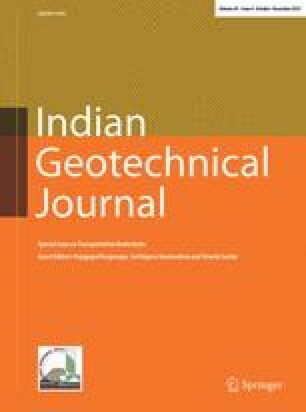 The authors would like to thank Mr. David Sharp, Mr. Jim Baxter and Mr. Mathew Barret for their technical assistance during the experimental work reported in this paper.